If you are looking for a new welder, you want something that you can achieve a perfect mind weld with. Something that works perfectly every time and gives you the results you envisaged. You want the best 110V welder but where do you start looking? There is a vast array of welders out there, and they are not all made equal. It’s a minefield of choices out there and one in which a bad choice could cost you dearly. 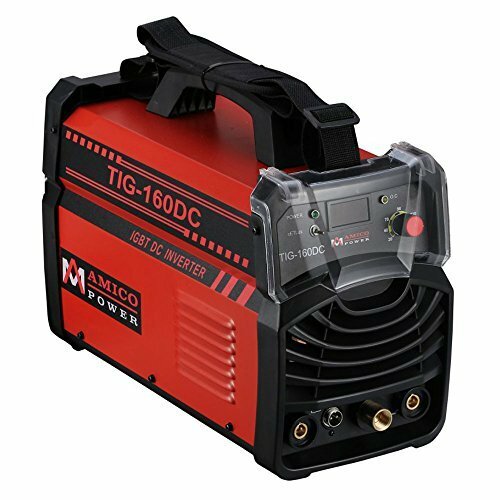 But that is where we come in – we have compiled our own reviews of 110V welders for 2019 so that you can narrow your choice down significantly. We scored our choices on versatility, useful features, quality, and workmanship to uncover the very best options on the market today. 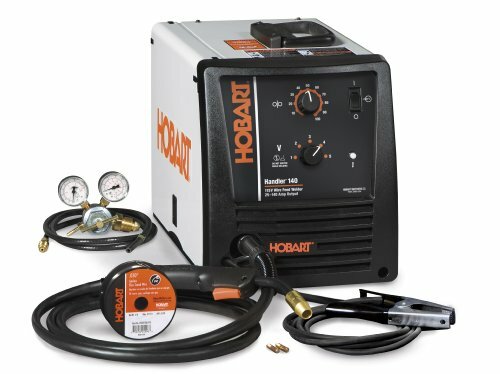 Hobart is a trusted household name, and this wire feed welder from them will not disappoint. It takes top honors here because it is completely portable and very versatile. Use it for light household repairs or more complex projects that require a lot more power. Every single unit has been designed, manufactured and quality tested in the United States and is backed by the companies 5/3/1 guarantee. What sets this model apart is that you can use it on industrial projects as well. 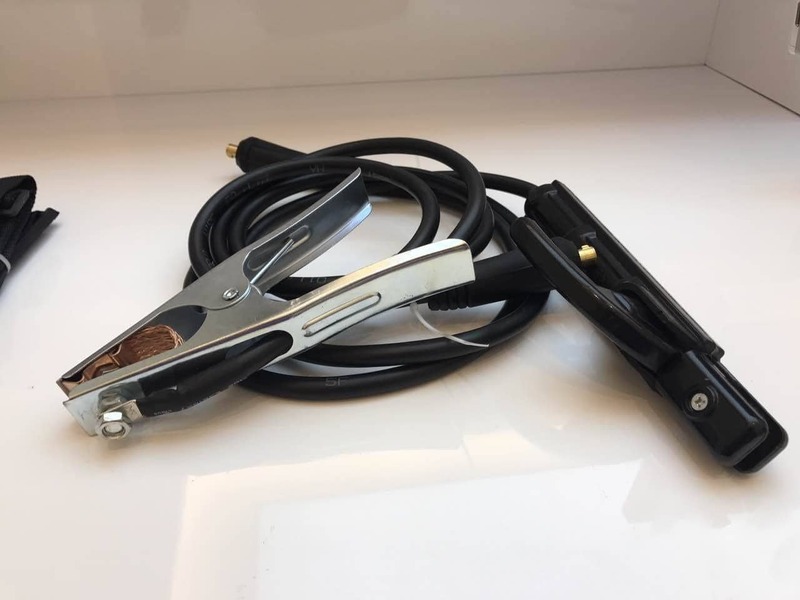 It features high-quality, useful design elements such as a top-notch work clamp and a voltage control selector with five different settings. It will weld from 24-gauge to a maximum of ¼ inch mild steel and can be run from your normal household electricity. You have everything that you need to start off in the box, along with a comprehensive owner’s manual. The fittings and features are high quality. This is a pretty good option as well. It offers similar features to the Hobart, but it lost points because of the warranty. Unlike the Hobart with a five-year warranty on parts and labor, this option only offers a year’s warranty. In the case of the cable and gun, this is reduced to 90 days. On the plus side, Lincoln is a reputable brand, and this is a nice lower priced option. You can adjust the wire feed speed as necessary, and it has a great safety feature – the wire will stay cold until you depress the trigger on the gun. It is simple to use, and you get everything you need to get started out the box. The welder works of mains electricity and will permit steel welding from 24-gauge to 1/8 inch. The set also comes with flux-cored, shielded wire, a chipping hammer and brush set and contact tops to enable you to weld using flux-cored, gasless wire. 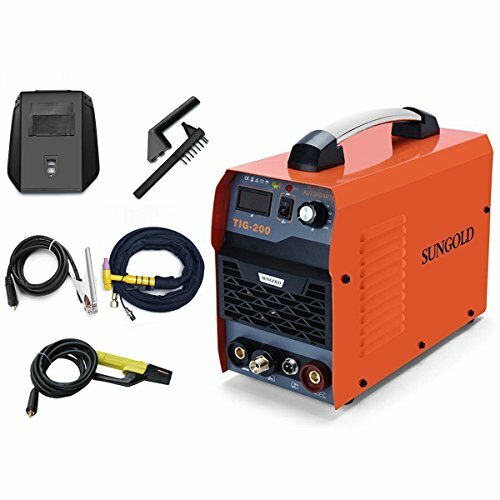 This is an excellent option if you need a TIG torch that operates at high frequencies and also a stick/ arc welder. It rates top in its class because it is easy to start and durable. It is very user-friendly, and the amperage is shown clearly on the LCD display, allowing for high precision. It is light-weight and creates a stable arc. It delivers excellent results, and reduces the chances of spattering when welding. This makes it a lot easier when it comes to cleaning up and a lot safer for the user as well. The system has an automatic voltage compensator, protecting against under- and over-voltage and preventing overloads. You can choose between a voltage input of 115 volts or 230 volts. It will work with mains power or a generator. The machines are all tested in the United States before being sent out, so you can rest assured of the quality that you are getting. This model comes in a close second. It lost points because it is neither made nor tested in the United States. It is simple to use and features a start-easy arc. This ensures that your welder is completely reliable and helps to improve the lifespan of it. The model is very lightweight and so easy to transport to where you need it. It is excellent for high-frequency welding projects. It also offers protection against fluctuations in voltage, such as when the voltage is too low or when it is too high. This makes it extremely useful when it comes to working with generators especially. 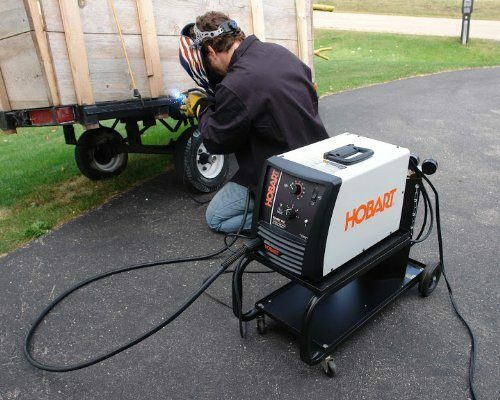 It can handle a range of projects, but could not be considered an industrial welder. You can use it to weld steel, bronze, etc. but not aluminum. It is great for the home enthusiast and offers the opportunity to get started in welding easily for the beginner. This is the latest model from AHP and comes out on top of the list. It has great features and an excellent limited three-year warranty, putting it head and shoulders above its competition. The difference between this model and previous ones is that this one features a new torch and 200HRTZ when it comes to AC frequency and pulse frequency. You can weld up to ¼ inch aluminum and up to 3/8 inch of mild steel. It has a dual voltage system of 110/220 volts and so can run off mains power or off a generator. This module uses advanced inverter tech and pulse width modulation. It makes use of IGBT tech to ensure that welding is precise and can be used on stainless steel, standard steel or aluminum. This model is useful for materials with a thinner-gauge rather than thicker materials. This comes in a close second to the AHP model, but it does not have the foot pedal controller. This is an excellent model for the hobbyist or home user. It is lightweight and easy to transport. It runs on 110V power so can be connected to the mains at your home. It cannot, however, be used with a generator easily. It features a parameter of ARC 200, with a duty cycle of 80%. It uses IGBT inverter tech and a range of 30A to 200A. It works simply and efficiently and is of good quality. It is small and so highly portable and easy to store. 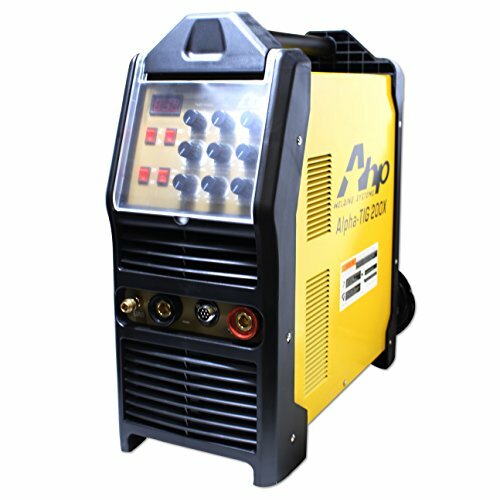 This welding machine comes directly from the manufacturer, and this is what explains the lower cost. The factory has a CE CCC Certification. The welder is safe to use and well-made. Overall, it is a pretty good deal if you are on something of a tighter budget. What features should you consider when it comes to a welder? Let’s have a look, shall we? When looking at the input and Output voltage of your welder, you will need to consider the types of projects that you plan to undertake. Say, for example, you want to join two sheets of metal, you do not need a very high output welder to complete the join. If, on the other hand, you want to join two door-frames, you will need to look at something more powerful. 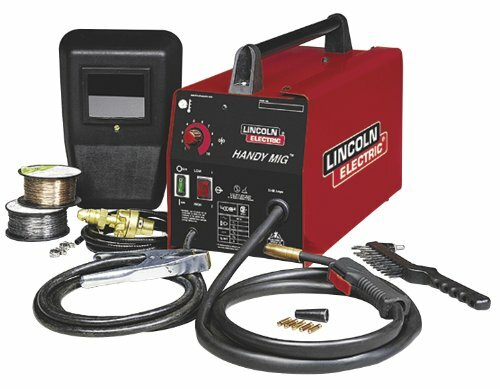 Get the best welder that you can afford and look for one that has a range of voltage settings to maximize efficiency. This is something that is important to consider and basically refers to how long you can use the machine for in one sitting. Using it past this setting will likely damage it. Again, the type of project that you are undertaking will dictate the kind of settings that you will need here. If you are undertaking complex projects, or ones that will require more time spent on them, you want a higher duty cycle. You don’t want to have to pause your project after ten minutes, for example, wait for the machine to cool down completely and then have to get it going again. Here, let the performance that you need out of the welder dictate what you choose. A big and bulky machine that is hard to move can be a nuisance, but the payoff is that it will usually outperform the smaller models. This will determine how quickly you are able to weld and how accurately your results will be. It is an extremely important factor when you are considering your options and a machine with a range of speeds offers greater variety in this area. A faster speed means the project gets done more quickly but leaves you less time to place the beads accurately. Welding is a dangerous business. You are working with a fair amount of electricity and molten metal. You do want to ensure that the machine has some kind of cut-out switch in case of overheating. Having a feature where the wire is only heated when the trigger is activated is another good safety element. If you are just using it at home, you don’t need a training certificate, but you do want a machine that is easy to use. If the instructions are overly complex, you are not going to get much use out of the machine. There you have it – our comprehensive reviews of 110V welders. While all the options that we have selected will serve you well, there really can only be one clear winner when it comes to value for money – the Hobart 500559 Handler 140 MIG. We highly recommend the Hobart 500559 Handler 140 MIG because it offers the perfect blend of excellent engineering, great value for money and user-friendliness. It does not have all the features of the more expensive machines, but it does have everything that you could need. As always, quality always rises to the surface. This is indeed the case here as well. Hopefully, this review will have help you to narrow down your choices, and you will have many years of good welding experience ahead of you.